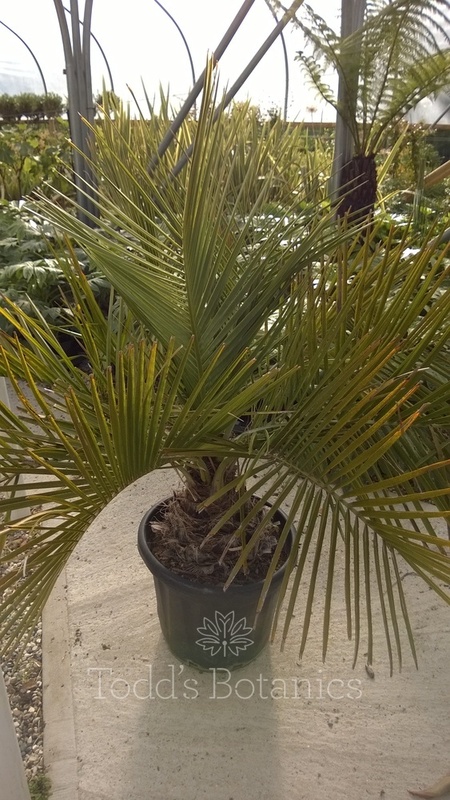 This sized Palm Tree makes an instant architectural impact, either as a specimen tree or as part of a mixed 'tropical' looking design. 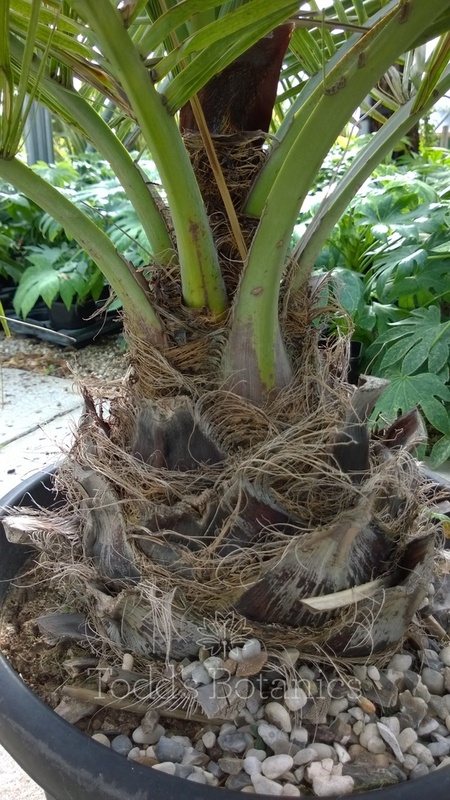 The Jubaea is a tough plant and will tolerate a temperature as low as -12, it has fantastically large, dark green arching leaves and a beautiful grey trunk when mature. 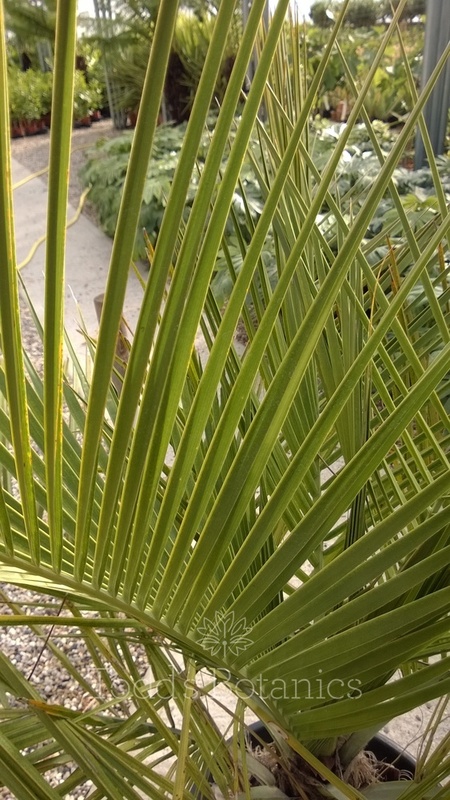 The common name of 'Wine Palm' is beacause in it's native Chile, the palm as extensivley harvested for it's sweet sticky sap, which was made into a syrup known as palm wine, unfortunately the whole tree was lost in the process and this led to it's decline and now it is a protected species in Chile. 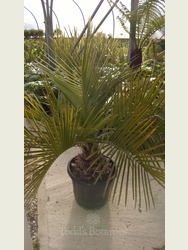 Jubaea chilensis prefers a sunny to part shaded position and a free draining soil. 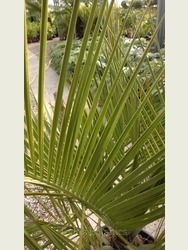 We send a care note out with each order detailing planting and watering requirements etc. 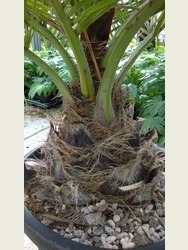 If you need to source a pot or planter, we recommend http://www.vasotoscano.com/ for beautiful terracotta pots. 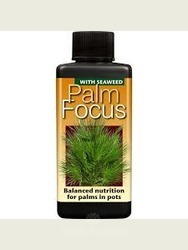 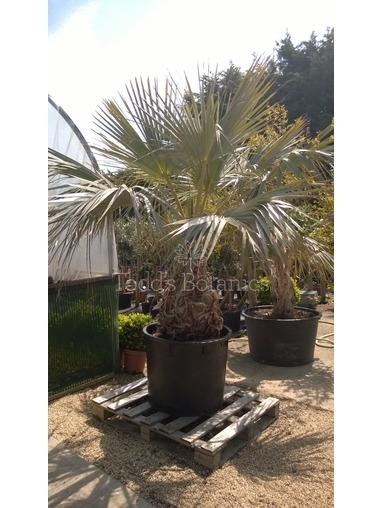 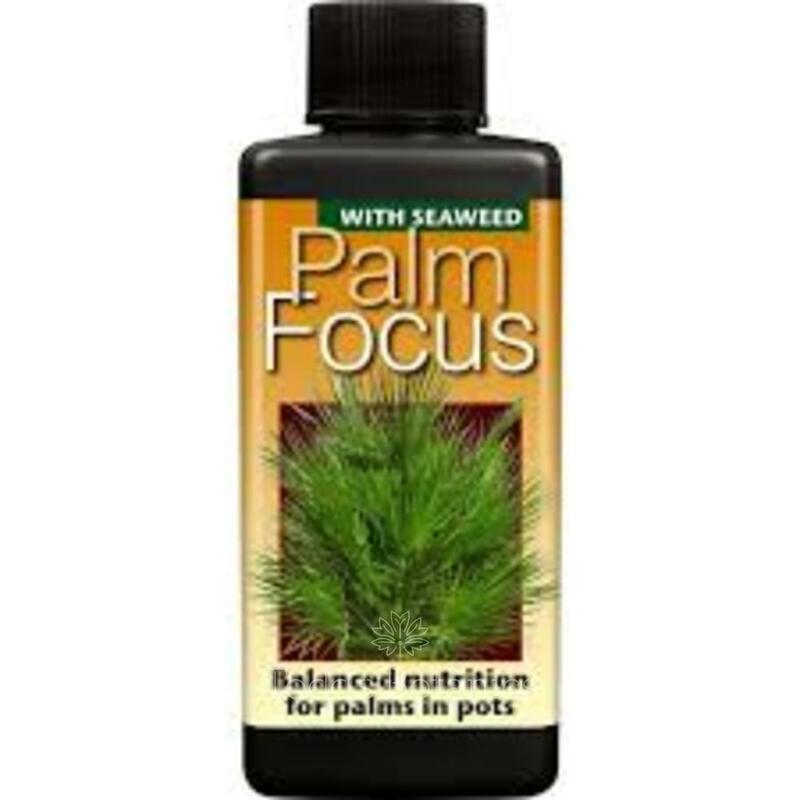 This sized palm is too large for ordinary delivery by courier and so it is sent out by pallet delivery and this incurs is a small surcharge of £20, which is added at the checkout.